Returning to the top of the R and B East points board are Bear Griva and Mike Klavinski. Mike had to miss the season opener last year when Bear, with the help of sub Jeromy Antrup, brought to the scales 17.37 pounds of fish. 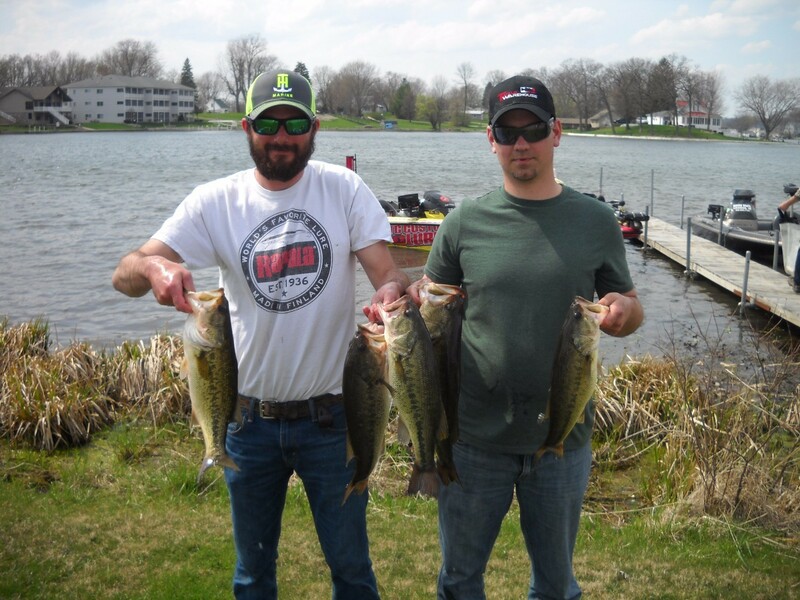 This year the team continued right were they left off last year by winning their third consecutive R & B Bass Circuit tournament! Their bag at Hamilton places them in the record books with the second Heaviest Tournament Weights and securing all three spots of this category for the eastern division. ​It took no time for newcomers to make an impact in the R & B. Baker and Bone are one of three in the Top 5. Pattern: Crankbaits on the windiest shorelines of the lake between 5-6 feet of water. The best areas were where the breakline came close to shore. ​After winning both Open Tournaments this spring, this team stays hot. They have amassed 17 Top 5 Finishes - more than any other team in R & B History, and also rank 4th on the All Time Money Winners list. Pattern: Fish were caught along breaklines and also on flats; however, 8’ of water was the magic depth in both. Baits: ¼ ounce black/blue jigs and swimbaits. Rich and Denny return to the leader board at Hamilton from last year. This year the two brought 10.87 Lbs. in five fish with a big bass of 3.17 Lb. The team ended up taking home $85.00. 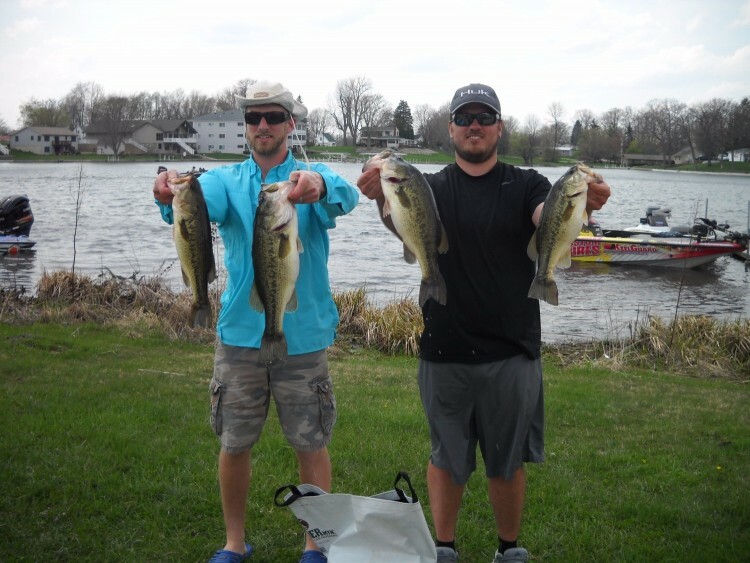 The R & B Bass Circuit returned to Hamilton Lake for its 2017 opener. For the second year in a row, the East division drew Forty-one teams and again this year R and B Records were broken. ​Last year it took 17.37 Lbs. to win, this year that number was raised to 19.39 Lbs. ​Adding to the number of "Heavest All Time R and B Weights" that the east already held. With the winning weight higher then last years and a new record Big Bass one might think fishing must have been easy. The fact of the matter is it was exactly the opposite. It was an extremely tough day for many anglers. Overall we weighed in 45% less fish this year then last year.​ leaving many of us beat-up and discouraged. A big congratulations to those 12 teams bring in a limit. Nice Job! The Warner brothers returned to the R&B Podium at Hamilton, with 12.43 Lbs for $130.00. The strategy last year was "Just Covering Water". 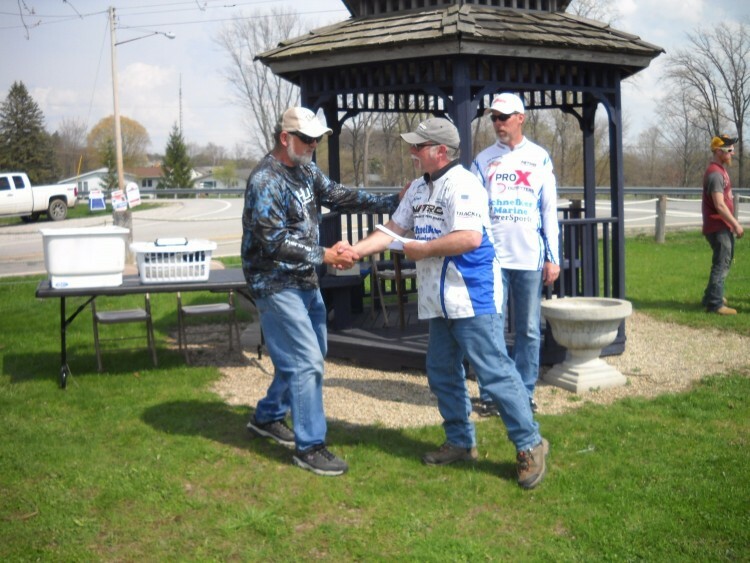 Paul Hollabaugh demonstrates how he spent the day scooping up Don's fish by retrieving $110.00 for their 7th place efforts. 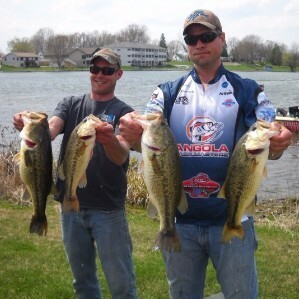 ​​Another team to return to the podium from last year at Hamilton, Don and Paul brought 11.98 Lbs. to the scales. 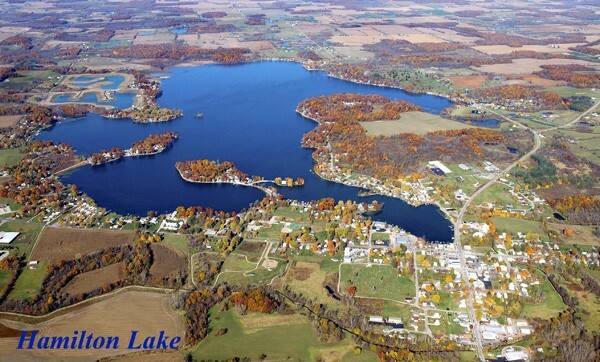 Pattern: They targeted staging fish along a shoreline in 12 feet of water. The bank was approximately 80 yards. 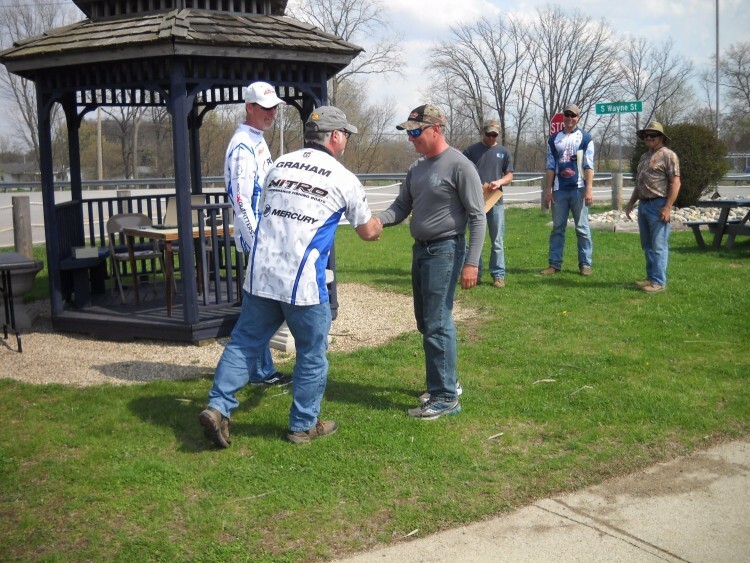 Anchoring their top place finish was the Largest Bass to be weighed in during an R&B tournament! 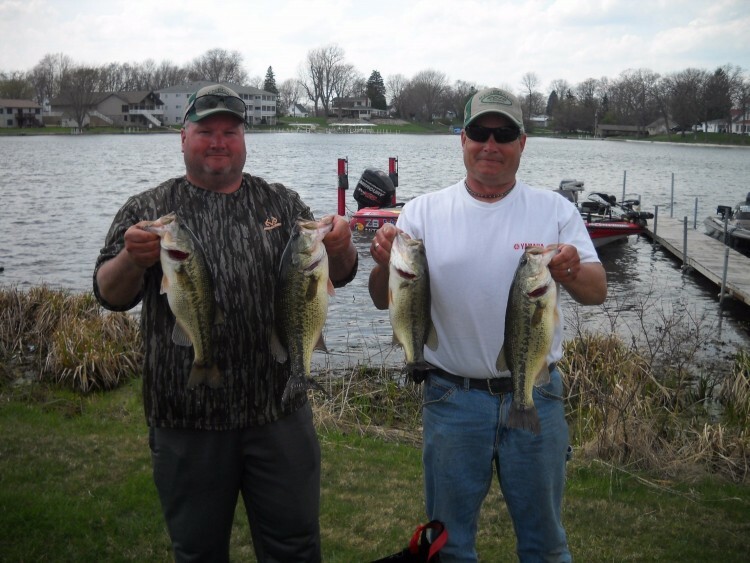 The Largemouth Bass tipped the scales at 6.75 pounds. The previous Record, held by the team of Chip Harrison and Tom Irvin at 6.61 pounds, was set on Webster Lake and has stood since 2011. This fish gave them an additional $328. Pattern: Prespawn bass relating to three stumps in one small area on a flat. How it Happened: The Wednesday night previous to the tournament, the team won a weeknight tournament with 16 pounds on the exact same spot. They caught that limit in one hour before leaving it with the R & B tournament in mind. On Saturday morning, Klavinski caught a 5 pounder on his fourth cast with a lipless crankbait and picked up two more in 15 minutes. Shortly after, Bear landed the Native Pride Tackle Big Bass. Their limit was completed at 8:44. This spot only produced 5 bites. 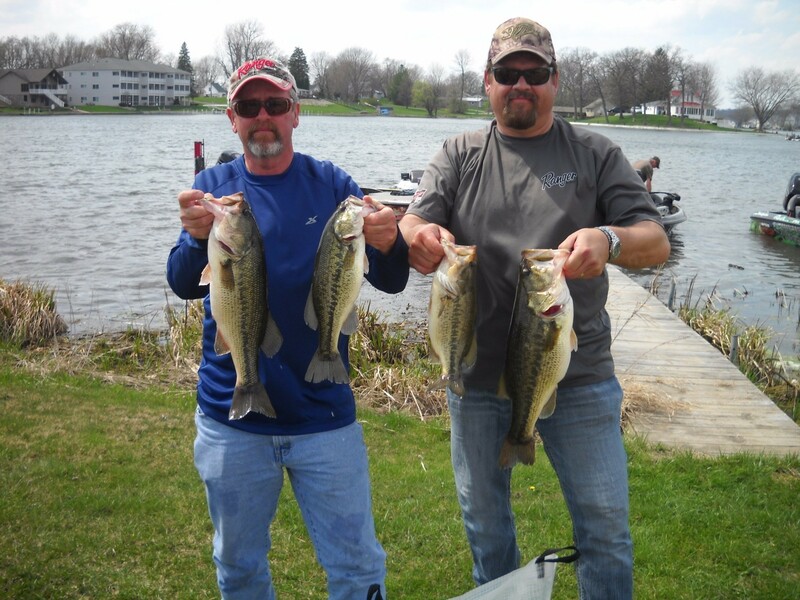 Throughout the day they caught another limit of fish with jigs, but they did not help their total. The victory was earned in just 44 minutes. How it Happened: They kept the trolling motor on high and covered a vast amount of water. It took four hours to get a limit, and only caught 3 more keepers throughout rest of day. How it Happened: At 11:00 the team had zero success in shallow, mid, and deep water. 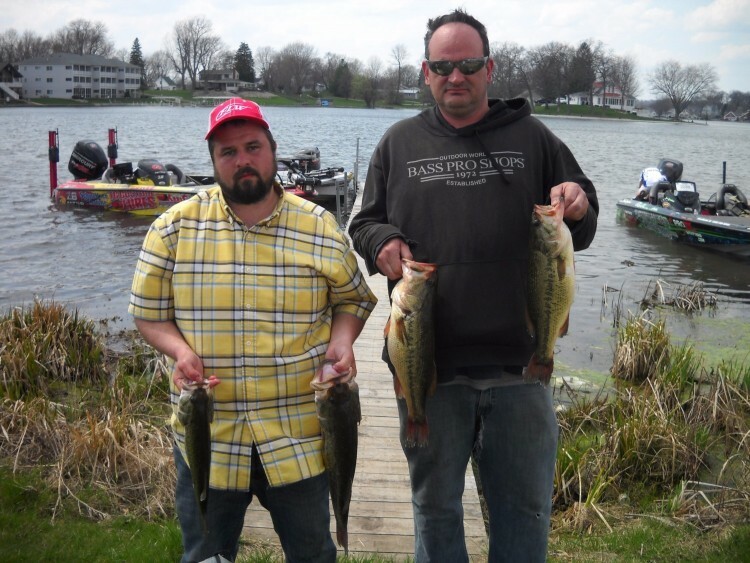 As the wind intensified and desperation sank in, they pulled out crankbaits and went to the windiest banks of the lake. Success was instantaneous. In the next 3.5 hours they boated 15 keeper bass. tournament began, it only took 90 minutes to catch their first limit and another hour to catch a second limit. However, that was it. 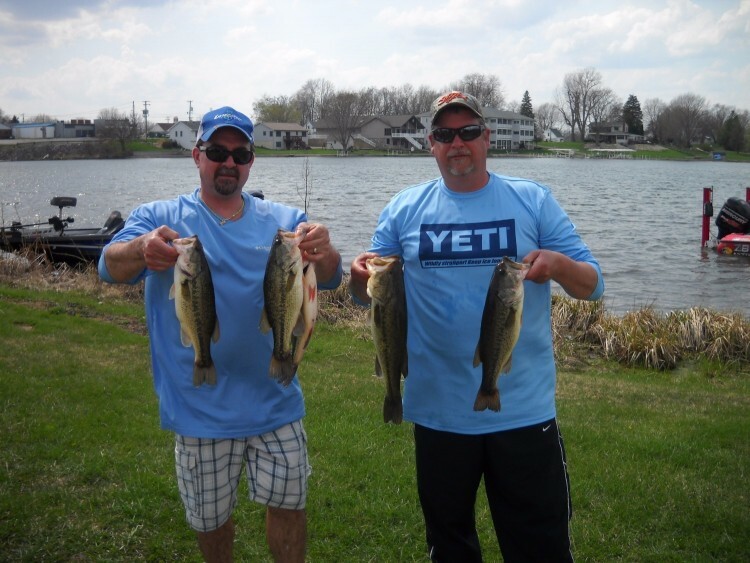 They never landed another fish after the first 2 ½ hours of the tournament. three hours. They went on to land 7 total keepers by combing the waters with the aforementioned baits.